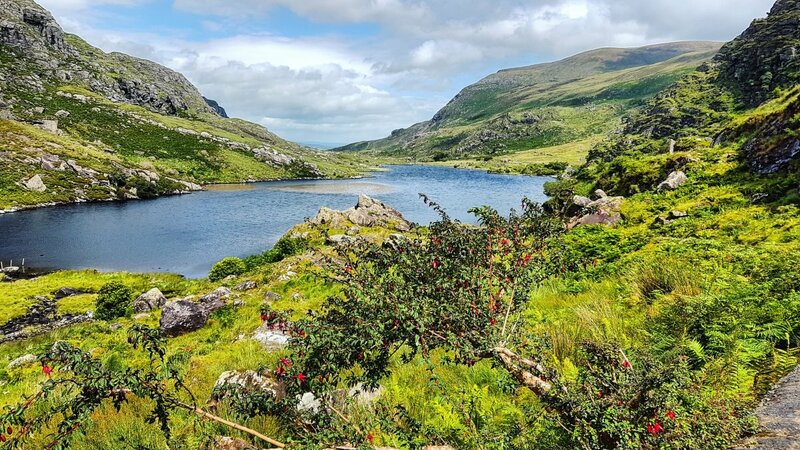 Our absolute favourite location during last summer’s babymoon to Ireland was Killarney. Killarney itself is nestled right up against Killarney National Park, which is a glorious natural heritage site in the Southwest of Ireland. 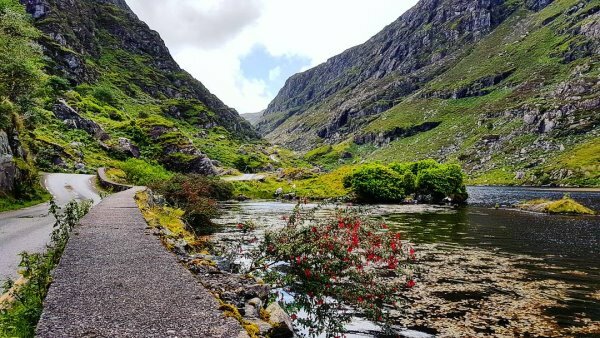 And running right through the middle of the park is a spectacular rift called the Gap of Dunloe. Our AirBnB hosts, John and Mernie, highly recommended we walk the gap as a must-see adventure. 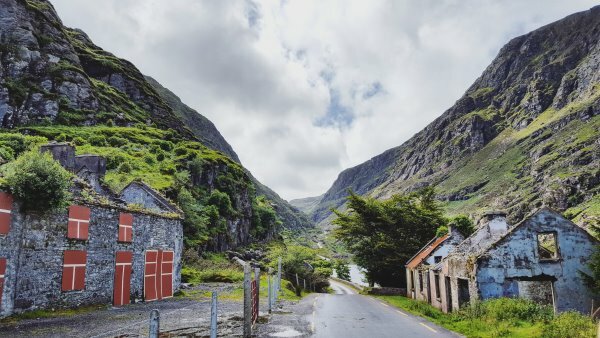 The very first thing you need to know about the Gap of Dunloe is that it’s not a tour. It’s a walk. A long walk, uphill halfway. That’s perfectly fine, and great for our adventurous spirits (even in the rain), but do be prepared. Bring snacks and plenty of water, but PLEASE carry all of your garbage out with you. Also, there are no bathrooms along the way. I suppose you can find a rock to hide behind, but the road is paved and well-travelled, so there will be an audience. The second thing you need to know is that you have about two hours to do the whole thing, so keep moving! Because of the length of the trail (7 miles long, or just over 10 km), it’s easy to turn it into a sauntering stroll. However, your ride home won’t wait forever — they’re on a schedule — and you’ll need to make it to the boat or bus to get back! Here’s how it works: Depending on the time of your tour, you?ll get a bus to either Kate Kearney’s Cottage or Ross Castle. 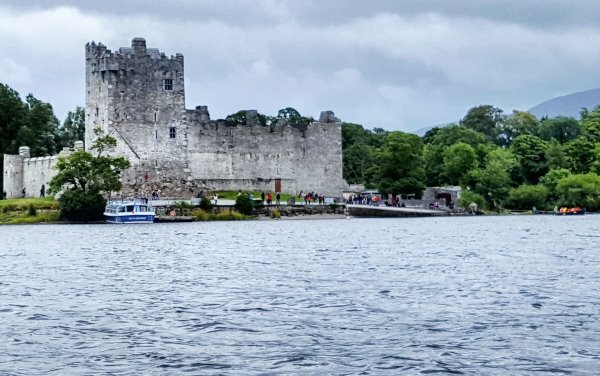 These are at opposite ends of the tour, because at the Ross Castle end you’re ferried by boat through the lakes of the park, where you’ll then walk the gap to catch a bus at Kate Kearney’s Cottage. The boat tour portion is a solid 90 minutes, so you can imagine they’re not going back and forth to the castle without being fully boarded. For our version, we were bused to Kate Kearney’s Cottage, which is a cute little starting point with a cafe, washrooms, and of course gift shop. 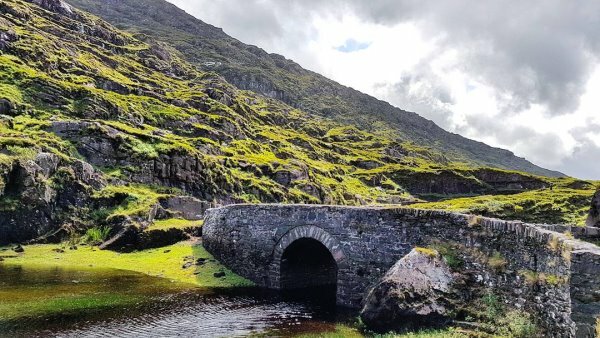 From there, you have the option to take a jaunting cab for the full horse-drawn experience (and, presumably, to shave a ton of time off the trek) or walk through the gap to catch the boat to Ross Castle. Obviously, we walked. 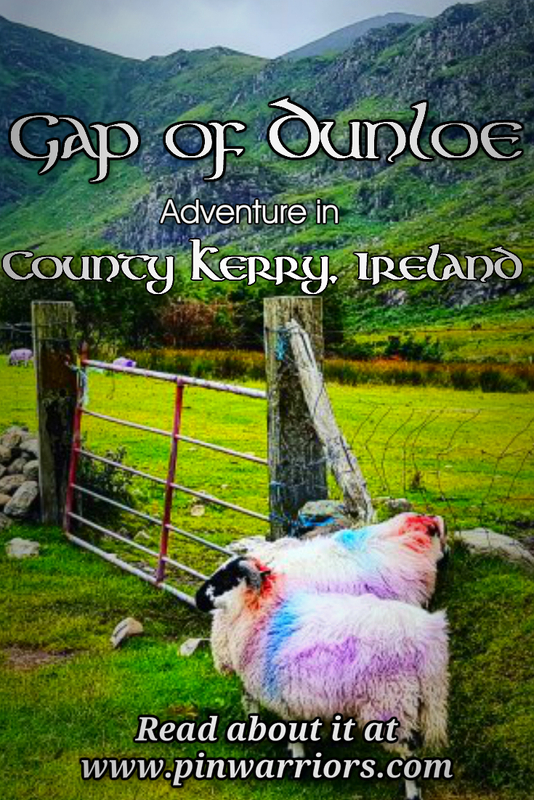 “Walking the Gap” is just one of those things every visitor to Killarney is encouraged to do. Being avid shutterbugs, we took probably more time at the start of the walk than most people. 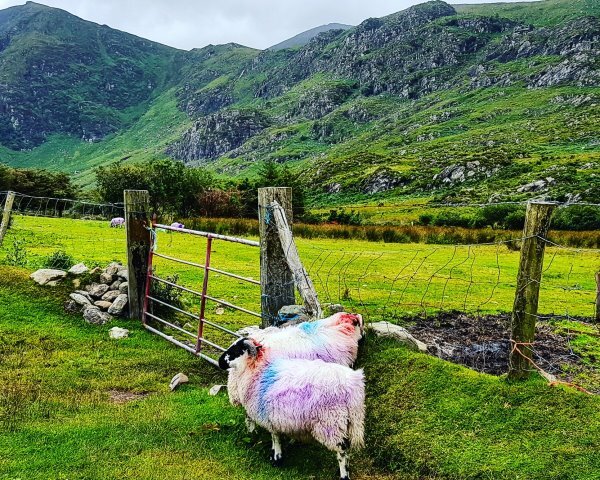 We were just so caught up with the awe-inspiring views and the rainbow-painted sheep that it was hard to go even a few steps without stopping to fire off a dozen photos. Amanda has a particularly good eye for landscapes, and it was hard work for her to keep her eye off those landscapes and press on. On our walk in particular, we had to make it to the other end of the road in time to catch the boat back to Ross Castle in order to get our bus into town. Every time we thought we’d hit the summit or the halfway point, we discovered there was still a lot of ascent ahead of us. It wasn’t until we reached the top that we realized we were pushing our luck; the boat was set to leave in 15 minutes, and was still two miles away! 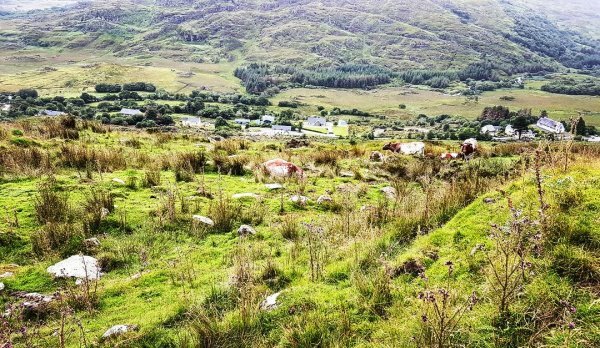 It’s hard to fully bask in the rolling bucolic splendour of the lake side of the Gap of Dunloe when you have to pee and you’re weighing the possibility of spending the night at a hostel in the village (which, you know, why not?). But trust me, the rugged and rocky wilderness of the hike was beautifully offset by the stunning vistas of the other side straight out of a painting. Coming up the road in the opposite direction were two jaunting cabs, the drivers walking and the horses clearly getting ready to head to stable and call it a night. We asked how long the walk to the boat was, and the drivers were shocked (the horses were a little more annoyed). We were told there was no way we?d make it in time on foot. One of the drivers was kind enough to turn his cab around and try to close the last two miles for us. Now, if you’ve never ridden in a jaunting cab, let me explain. First, it’s always a pleasant conversation. Our driver had a very hefty brogue, but he was quite congenial and accommodating, considering we just added half an hour to his already long work day. Second, it can be as fast or as slow as you like. This is worth noting, because (third) at the faster speeds the cab can also double for any number of shake-related utilities: mixing paint, churning butter, polishing rocks, creating large quantity smoothies, creating 50-gallon drums of James Bond martinis. Really, the sky’s the limit. Getting to our destination in record time meant alternating bouts of insanely bouncy with smooth and relaxing. The bouncy bits were a bit of a stress, as newly-pregnant Amanda was obviously; and rightly; concerned about what that action might do. And also, pee. So. Much. Clenching. But we made it! Our driver was kind enough to make it a “what it’s worth to you” value trip, since it was only a few minutes (but was everything to us). 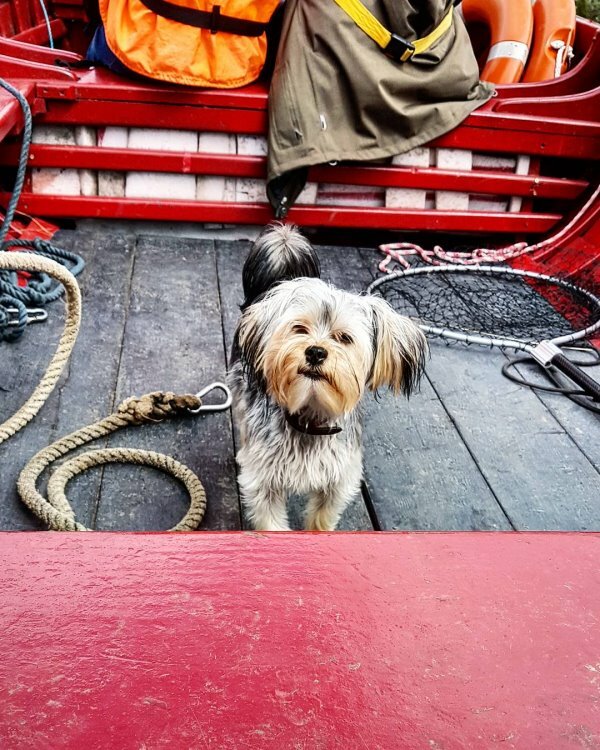 After a quick rest stop, we hopped on the boat and headed back to Ross Castle. After a long and arduous trek through the Gap, it was a real treat to sit back and relax for the 90-minute ride through all the lakes. Our captain was a knowledgeable guide as well, treating us to great tidbits about the natural and human history of the region. 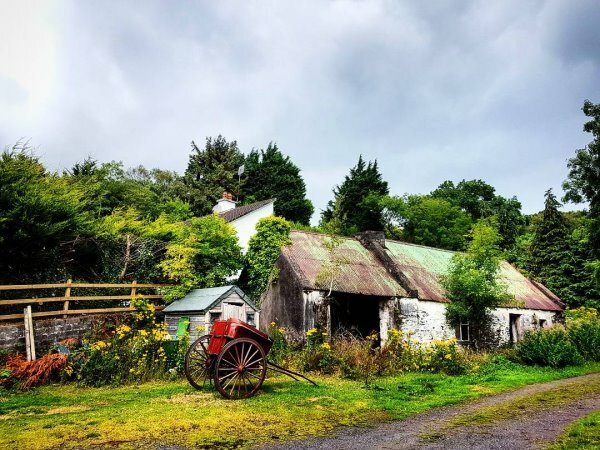 If you’re planning a trip to Ireland, do NOT miss the opportunity to visit this hidden gem. It’s a great day out in nature, and a once-in-a-lifetime opportunity to see the true beauty of the Irish countryside up close. It’s an immersive experience that enables you to get out in the wilderness, but still with the comfort of knowing you’re still not far from help if you get stuck. 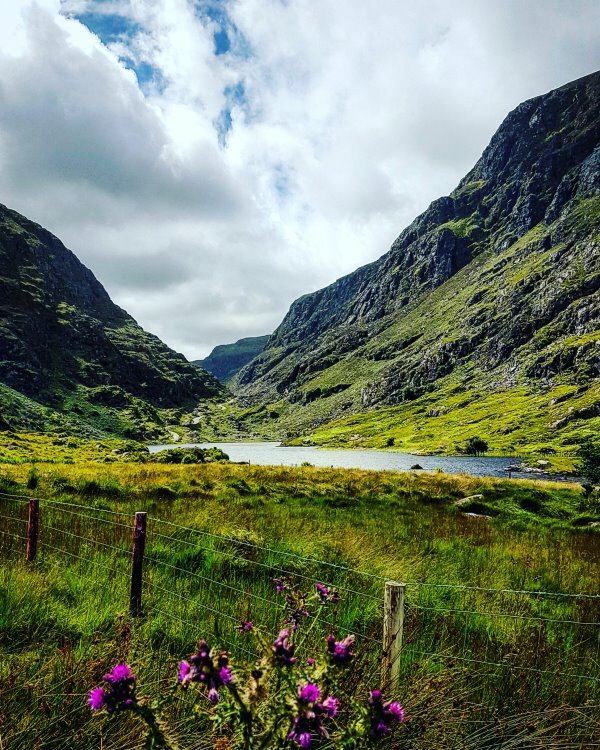 Keep the Gap of Dunloe high on your must-see list. We’re already trying to plan our next visit with the kids! Any comments or questions? 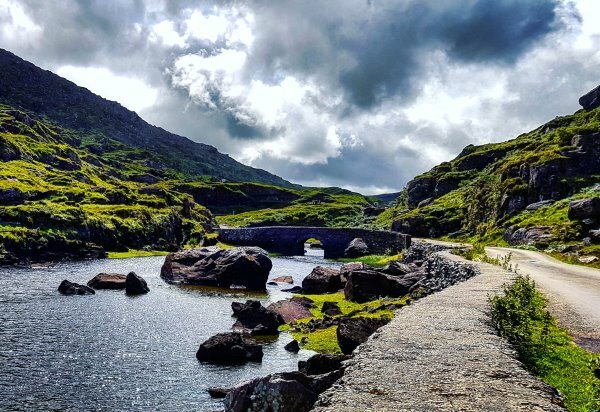 Do you have any great stories about walking the Gap of Dunloe? 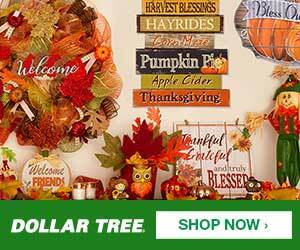 Share in the comments below…we’d love to hear from you!